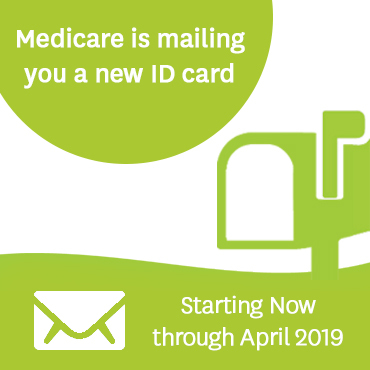 Signing up for the Buckeye Medicare-Medicaid Plan program is easy. You must call the Ohio Medicaid Consumer Hotline at 1-800-324-8680 (TTY: 711) to let them know you would like them to enroll you in our program. As a Buckeye Health Plan – MyCare Ohio (Medicare-Medicaid Plan) member, you can earn rewards by staying focused on your health. Buckeye Health Plan – MyCare Ohio (Buckeye) is a health plan that contracts with both Medicare and Ohio Medicaid to provide benefits of both programs to enrollees. Those who meet the rules can join our plan to can get benefits from one single health plan. Inpatient hospital, rehabilitation, and nursing facility stays. Home health, DME, physician services, routine vision, dental, and hearing services. Some members get services through managed care plans or fee-for-service Ohio Medicaid. Regular traditional Ohio Medicaid also covers behavioral health services from the Ohio Department of Mental Health and Addiction Services. Members can get these benefits through fee-for-service Ohio Medicaid; our Medicare-Medicaid Plan will offer these benefits in addition to traditional Ohio Medicaid covered services. Behavioral health services include one-on-one or group meetings, crisis intervention, intensive outpatient and inpatient mental health services, partial hospitalization, and community psychiatric supportive treatment. These waivers provide members on Ohio Medicaid with certain services that allow them to get long-term care outside of a hospital or nursing facility. Those who meet the rules to join have been understood as having a physical or emotional need or skilled level of care. Without the services available through the waiver benefit, these individuals are at risk for hospital or long-term nursing home placement. MyCare Ohio will include all of the services that are covered in the following home and community-based Medicaid waivers: PASSPORT, Choices, Assisted Living, Ohio Home Care, and Transitions Carve-out. If you are getting services in one of these waivers at the time you joined in MyCare Ohio, you can continue to get those same services by your same providers for a specified time. Finally, Ohio Medicaid covers drugs for all recipients except those who are able to join in Medicare Part D; Part D-eligible recipients can only get Ohio Medicaid coverage for medications that are not covered by Medicare Part D.
Part A (Hospital Insurance) covers inpatient hospital stays of two nights or more, with a half room, food, and tests. There is also coverage for a skilled nursing home, hospice, and home health if certain conditions are met. Part B (Medical Insurance) covers defined services and items not covered by Part A, generally on an outpatient basis. Part B covers doctor services, home health, preventive services, x-rays, lab and diagnostic services, DME, vaccinations, chemotherapy, and more. Part C (Medicare Advantage Plans) allows a person to select a private managed care organization, such as Buckeye, to take care of their healthcare benefits instead of the traditional fee-for-service plan provided by Medicare. Part C includes Parts A, B, D, and extra benefits. Buckeye covers up to $25 a month for over-the-counter items from our mail order pharmacy. Members can have items such as vitamins, antacids, first aid supplies, oral care items, and pain relievers sent free to their home. Part D covers Medicare-covered drugs for Medicare recipients. For more information on any of these benefits we provide, please call Buckeye Member Services at 1-866-549-8289. Hours are from 8 a.m. to 8 p.m., Monday through Friday. On weekends and on holidays, you may be asked to leave a message. Your call will be returned within the next business day. TTY users call 711.